Uranium can be mined for some medical purposes and to make electricity, but its main purpose was and is to fuel nuclear warfare against the world. Just six mines provide 85 percent of the world’s uranium and guess who owns the mineral rights to that land? It may be surprising to realize it is none other than the Queen of England. She is not alone in her fear-mongering. Our own government has helped to perpetrate warfare using this substance well before Fukushima. U.S. government officials still insist that the use of depleted uranium in missiles, shells, bullets and armor plating did not contribute to Gulf War Syndrome. And the Rand Corporation helped to promote that lie. The truth of the matter is that the Queen is sitting on $17 trillion pounds of uranium investments—enough money to end world hunger, fuel the world’s energy needs with non-nuclear, clean sources and definitely stop the poverty in her own country. Draconian laws have been passed both in the U.K. and in the U.S. to protect nuclear energy. Help us speak truth to power. Donate what you can afford to support NationofChange. In the U.S., we are subject to the Energy Reorganization Act of 1974, which was put forth by nuclear energy companies and supported by theNuclear Regulatory Commission and the Department of Energy. There is an extensive list of laws governed by regulatory and institutional agencies that uphold nuclear energy in the U.K. as well. Since the presidency of George W. Bush and prior, utilizing United Nations weapons inspectors, we have engaged in the fleecing of Middle Eastern and African countries for their uranium deposits. Africa, specifically, has been raped by the warmongering Monarchy. Nuclear radiation expert Jay M. Gould told the world the about the extent of this combative totalitarianism in his book, “The Enemy Within: the High Cost of Living Near Nuclear Reactors” that the British royal family, especially the Queen herself. She privately owns investments in uranium through Rio Tinto Zinc., the mining company, originally named Rio Tinto Mines. Ronald Walter Rowland, the Queen’s “buccaneer,”allegedly created this entity for the British Royal family in the late 1950s. Furthermore, without the book “Royal Fortune,” which led to royal palace scrutiny, nobody would have known about the Queen’s Civil List “surplus.” The £35 million would have followed centuries of Civil List surpluses into the royals Swiss accounts. This is where she hid her uranium investments and the spoils of her ultranationalist, perhaps anti-human agenda…. Tagged Fukushima; Gulf War Syndrome., Queen's Civil List; Rio Tinto Mines., Rand Corporation; Monarchy; Royal Fortune, Rio Tinto Zinc. 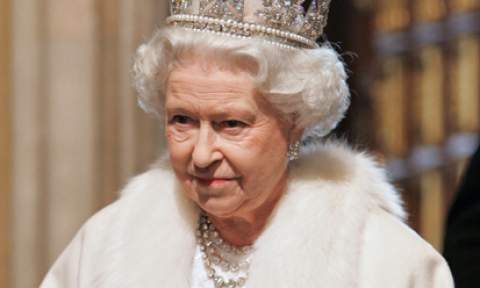 British royal family, The Enemy Within; Nuclear Reactors, Uranium mines; Queen of England;. Bookmark the permalink.